This entry was posted on May 12, 2016 by Nick Caron. The term "sleeper" has hung around in the automotive community since the origin of modifying cars. Look back to the early 1900's during the Prohibition era, calling on the bootleggers to improve the speed and handling of their cars so they could successfully outrun the police. The key was to modify your car such that it remained unsuspecting and blended in with the general public, but could move like a bat out of hell when necessary. Another key element these bootleggers needed in their "sleeper" cars was ample cargo space to haul whatever moonshine was on the menu at the time. Now fast forward almost 100 years, and the mindset still lives on. Sure, Prohibition may be long gone, and the need to evade police when carrying a case of alcohol may no longer exist, but I'll be damned if we don't like to drive to the grocery store as fast as possible. Cue Russell's 2015 B8 Audi SQ5, shod in a Moonlight Blue Metallic paint to provide a nice balance from a rich, captivating blue to an incognito dark hue that blends in when it's required. 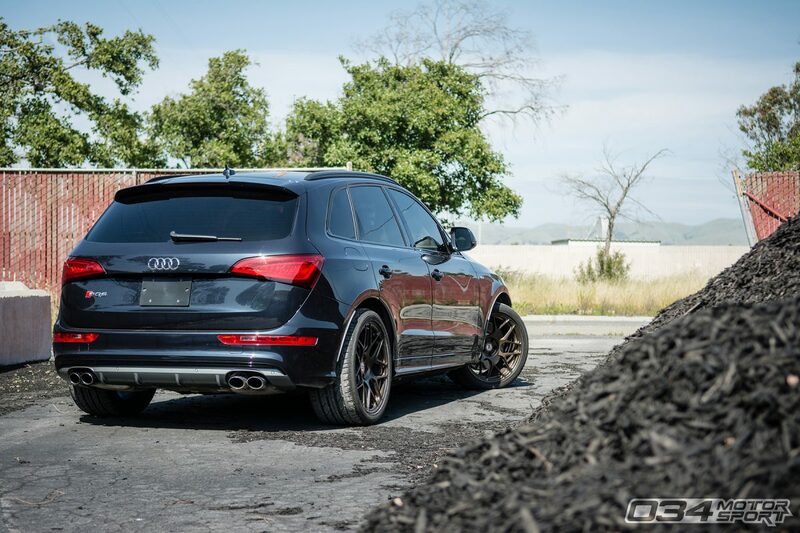 Russ wanted a "sleeper," and after looking at S4 avants, he came across the performance-minded variant of Audi's mid-size SUV. He recognized the potential in the 3.0T engine, equipped with a hearty 354 hp and 346 lb-ft from the factory and a reliable ZF 8-speed transmission to help put the power down. 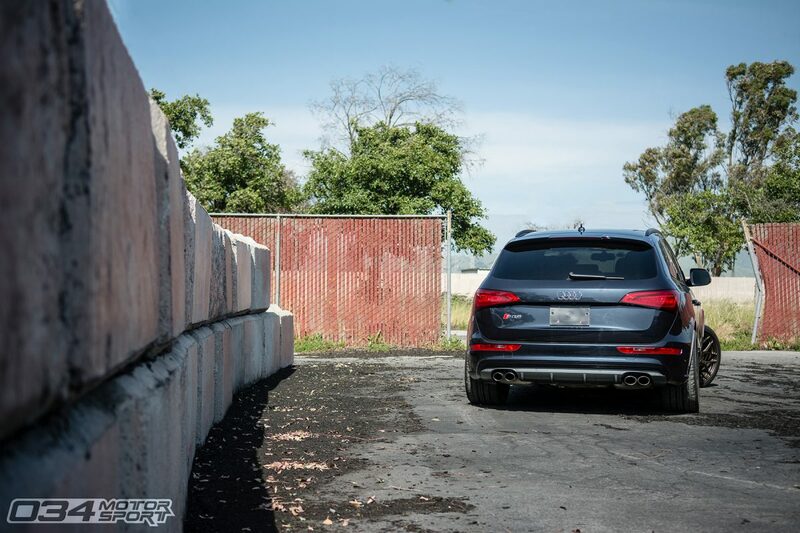 The clean body lines of the B8 chassis helped to seal the deal, and Russ quickly found himself in a new SQ5 as his daily driver. 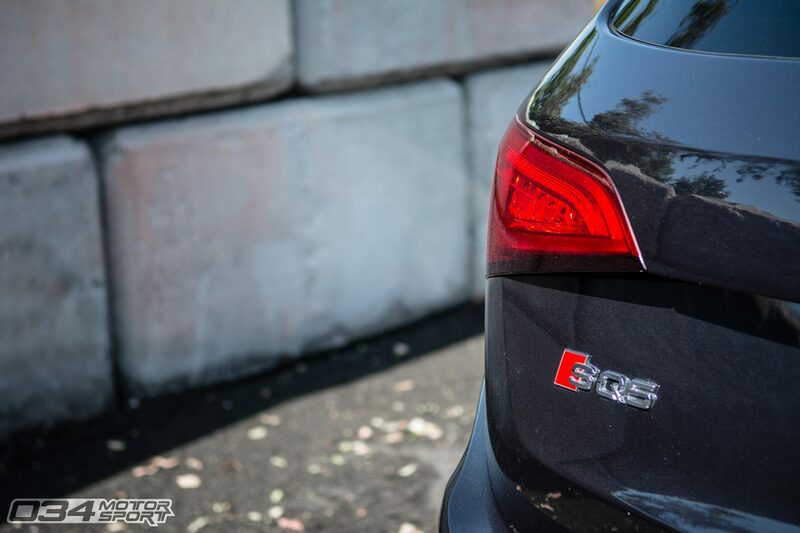 He enjoyed the car as the factory intended for the first 4 months of ownership, in order to get a baseline of what the SQ5 was all about. Quickly thereafter he found the "mod bug" creeping in, whispering sweet nothings in his ear about which upgrades he should do first. It was somewhat of a snowball effect, with the first upgrade being our 034Motorsport Throttle Body Inlet Hose. The added power and increased supercharger whine from the high flow hose were appreciated, however it left the door wide open for other performance improvements to be had. For a couple months Russ accumulated more upgrades, including a set of 20x10 HRE P40SC wheels wrapped in 295/35/R20 tires on all four corners. 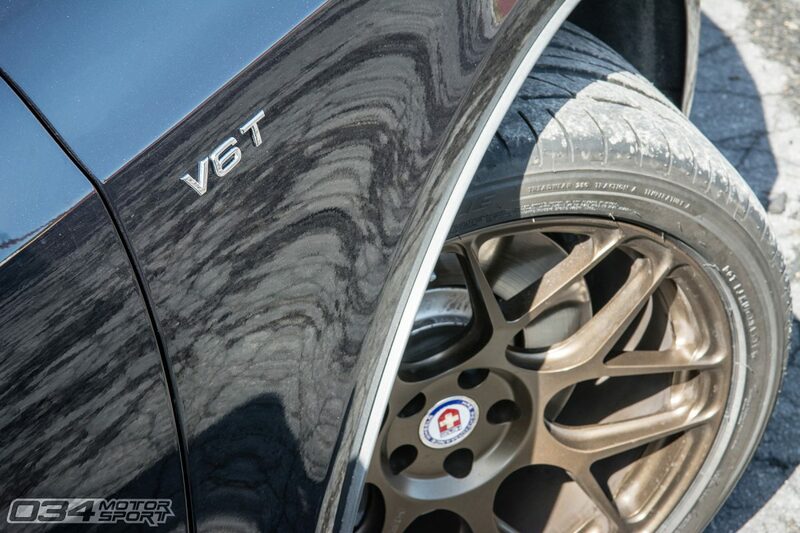 Now that's a contact patch! 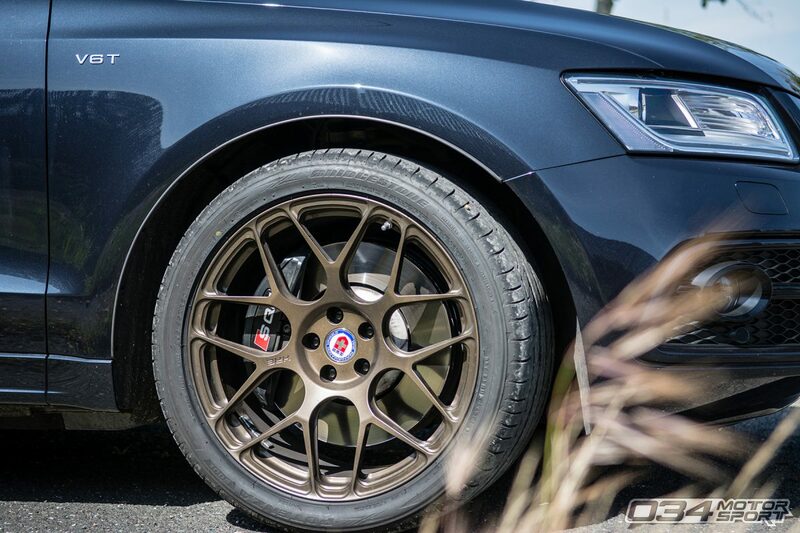 While a different style of wheel added some new flare to the SQ5, make no mistake that this was a performance upgrade by losing 12lbs of unsprung weight and significantly widening the track as well. A set of KW H.A.S. Adjustable Lowering Springs were added at the same time to improve upon the road presence of this Audi SUV and get the handling in order. Insistent on stiffening up the B8 chassis, a 034Motorsport X-Brace with new factory Subframe Hardware Kit was installed along with the 034Motorsport Drivetrain Mount Insert Package to help put the power to the pavement. To round out the group of chassis components Russ has upgraded, he opted for our 034Motorsport Front Adjustable End Links and 034Motorsport Spherical Rear End Links to eliminate any slop that would have been present from the factory rubber bushings. 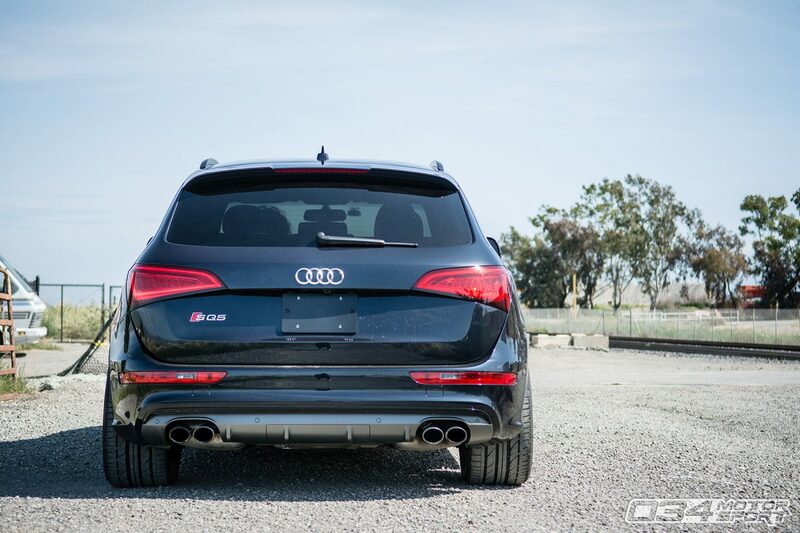 In the meantime, Russ has been putting some quality miles on our B8 Q5/SQ5 Adjustable Rear Sway Bar during its development process to ensure it meets the same performance standards as the rest of our rear sway bar offering. Now that the chassis stiffness and handling have been drastically improved, Russ has his sights set on making more power. He plans to install an upgraded supercharger pulley and associated tune in the future, along with a larger airbox to make the most of the increased performance. So where does that leave us? Speed: Check. Handling: Check. Large cargo capacity: Check. 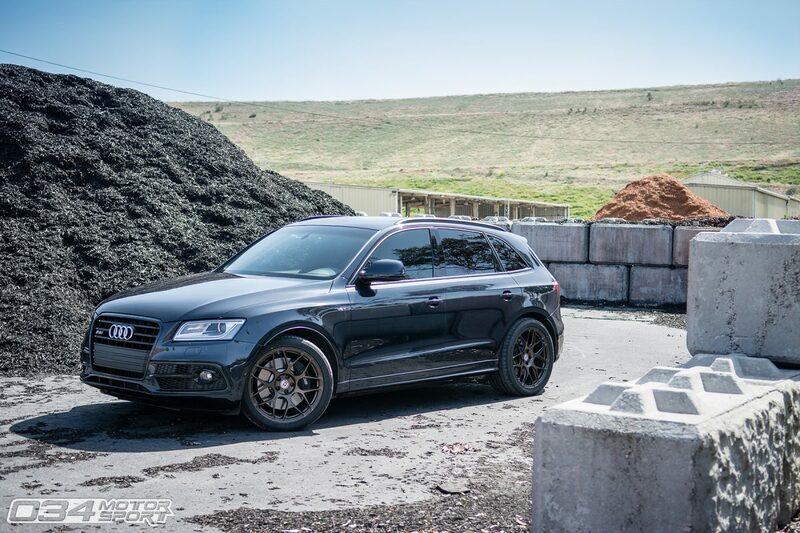 This Audi SQ5 is a modern day bootlegger's dream. You wouldn't know by looking at it, but Russ has himself a family SUV with the power and handling to outrun a majority of the cars cluttering up the roads these days. I think it's safe to say this is one heck of a "sleeper." 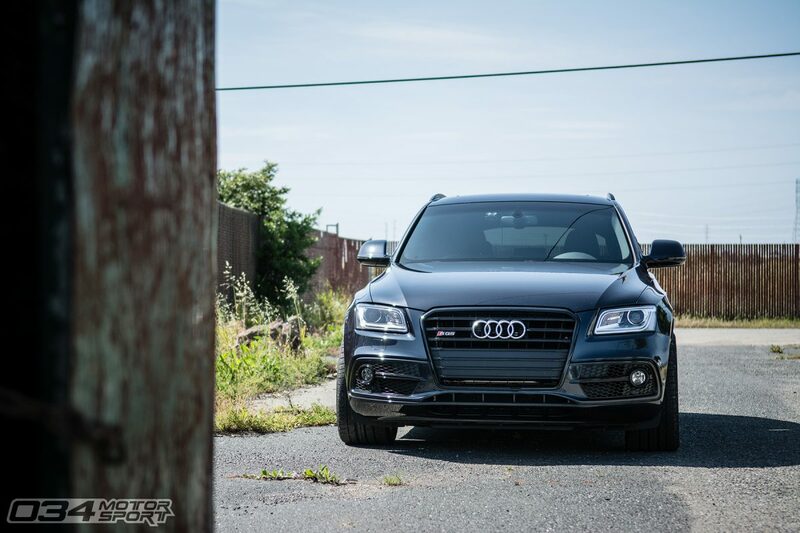 Be on the lookout for this SQ5 cruising through your neighborhood, but you'll have to keep a keen eye as this Audi has the power to seamlessly blend in. 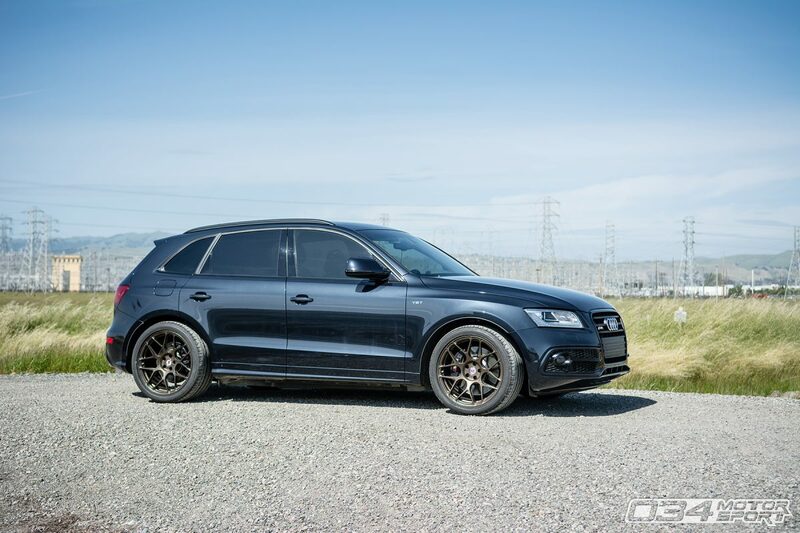 Whether it's carving up mountain roads, racing down the drag strip, or hauling groceries home from the store, there's no doubt Russ and his SQ5 will feel right at home. Nice choice Russ. 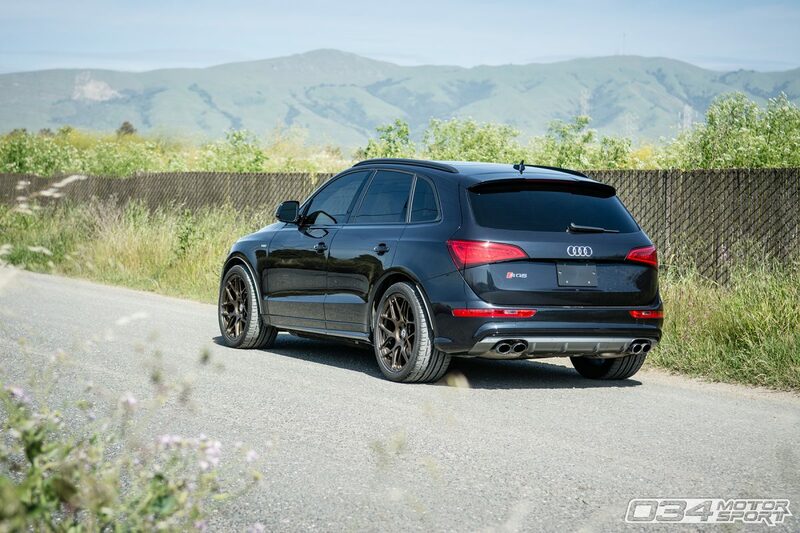 I have a 2015 q5 3.0T Sline Premium plus with the black trim, 20' wheels and flat bottom wheel. I see chipping it as an inevitable choice. 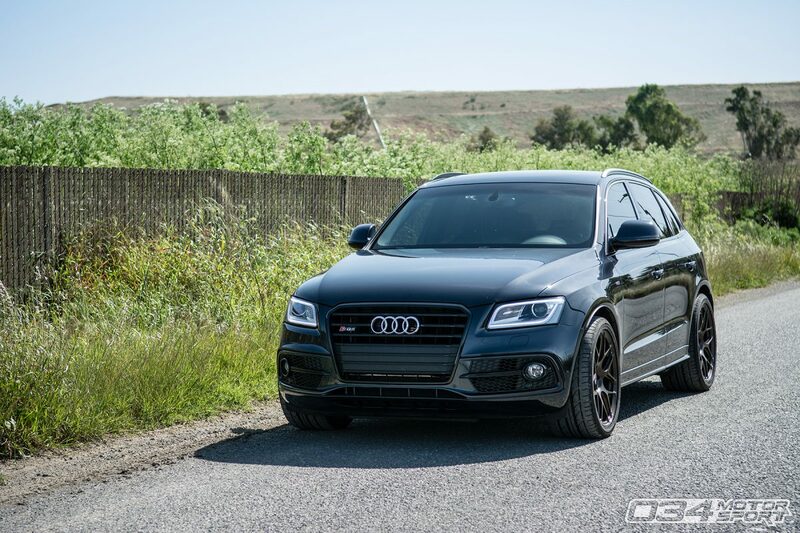 It already looks almost like an SQ5 I might as well make it as fast lol.